plump, succulent and juicy prawns coated with delicious sweet, sour and slightly salty sauce. First quarter of 2018 will soon be over and my goal to increase post weekly had not taken place... yet! Matters of priority that required my presence, being there with family members, were more important. Hence blogging took a back seat. Lets hope that the next quarter will be kinder to me, and I am able to concentrate churning more posts and videos. 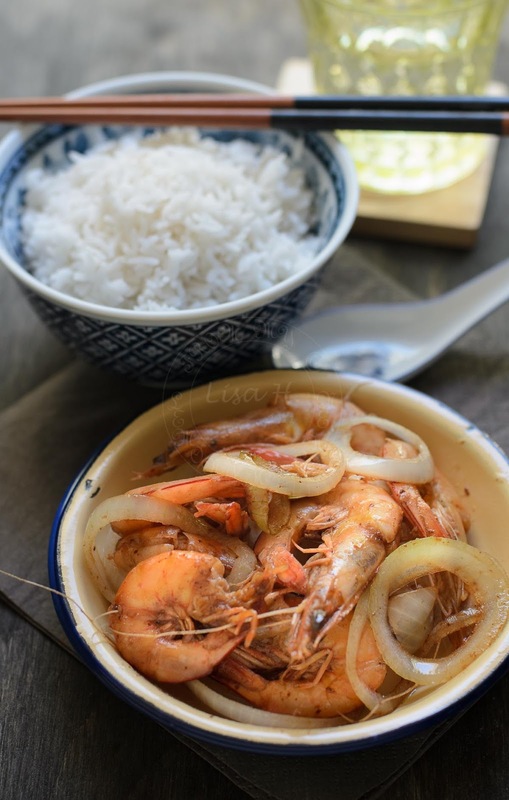 And I am able to post an easy, tasty Malaysian dish like this Tamarind Prawns / Assam Prawns. 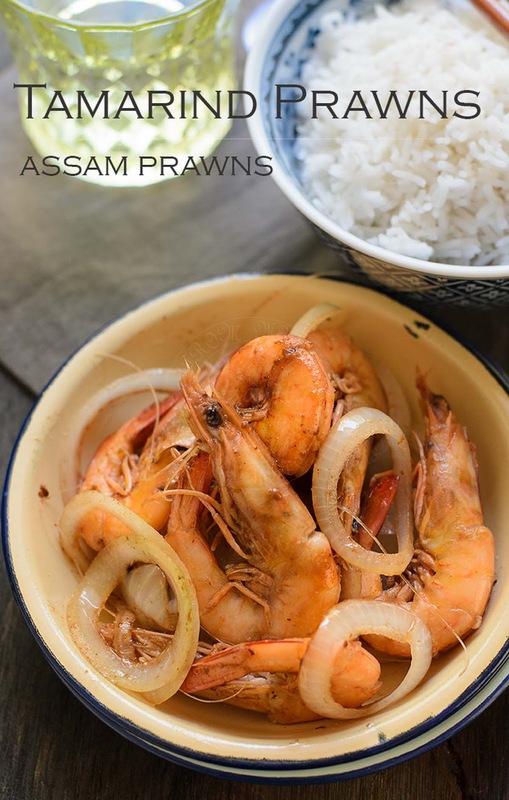 Have you tried this Tamarind Prawns / Assam Prawns? Plump, succulent and juicy prawns marinated for 2 hours in tamarind marinade. Tamarind marinade made of simple ingredients that you may find in your larder, like sweet soy sauce, sugar, salt and tamarind paste of course. For sweet soy sauce, I love to use the Habhal Sweet Soy sauce, refer to photo above. Whats the difference between Habhal and ABC? In my humble opinion, they have different consistency as well as taste. 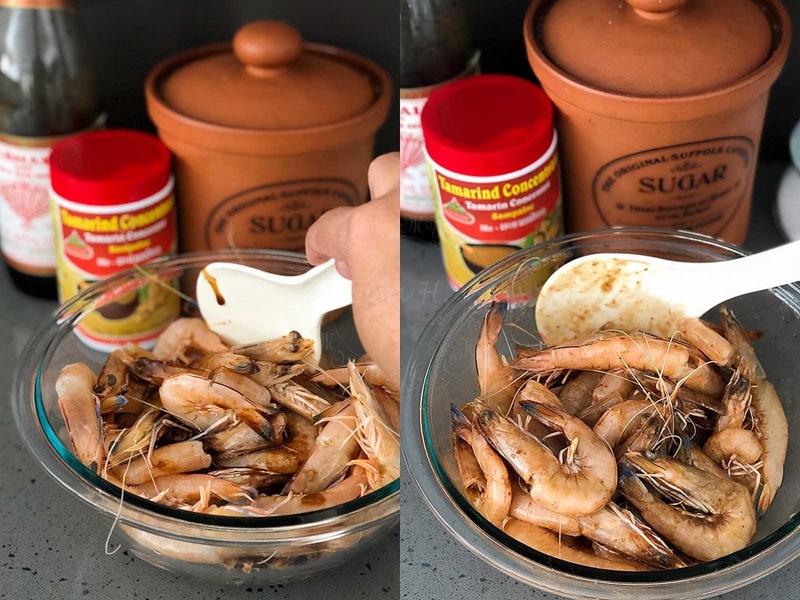 As I mentioned above, once you tried this Tamarind Prawns / Assam Prawns, you will definitely love the taste, and might even slurp sauce or , lick the juices off the prawns' shell. My Tamarind Prawns / Assam Prawns may looked 'pale' in comparison to any Tamarind Prawns / Assam Prawns posts, if you do a Google search on the topic! These Tamarind Prawns / Assam Prawns needs to be cooked on HIGH heat! Preferably using gas stove. The sugar and the soy sauce in the marinade will caramelised and darkened the prawns. 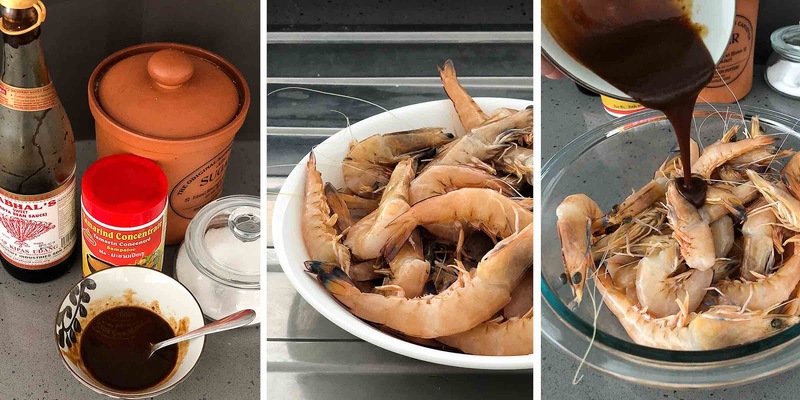 High heat will also gives that 'smokey' flavour to the prawns. 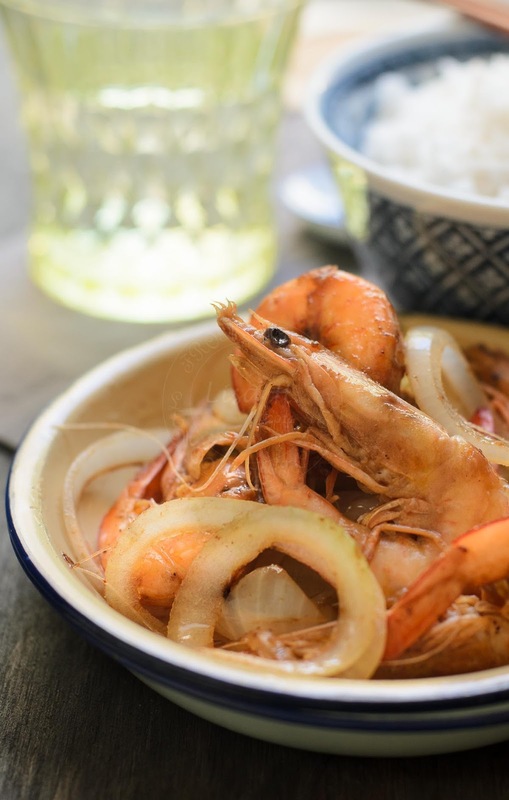 Delicious tamarind prawns with sweet, salty and sour taste. Quick cook over high heat will yield that smokey, caramelised taste to the dish. Pan fry prawns on high heat and add onion.